Qualcomm continues to reduce the amount of time your phone needs to sit on the charger in order to juice up. 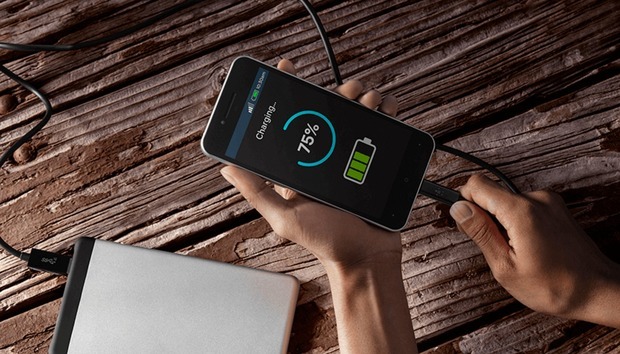 With Quick Charge 4, Qualcomm promises you’ll only need five minutes to get five hours of phone use. The technology will work with the Snapdragon 835 processor, also due out next year. Exact performance is likely to vary based on your battery size and other hardware factors, but in general it’s a positive step towards less time tied to the wall. The figures are based on internal tests of a 2,750 mAh fast charge battery at the thermal limit of 40° Celsius. Additionally, the company says that compared to Quick Charge 3.0, Quick Charge 4 is up to 20 percent faster, or 30 percent more efficient. It also charges 5° Celsius cooler. Qualcomm is also standardizing the capabilities of Quick Charge 4 adapters to incorporate USB-C and USB Power Delivery (USB-PD), so that one accessory can support various charging implementations and mobile devices. There’s also a Battery Saver implementation that is built to extend battery cycle life and ensure sufficient safety, an issue that gets a lot of attention thanks to the Note7 debacle. The exact performance may vary, but Quick Charge 4 could be a welcome improvement for your next phone. Intelligent Negotiation for Optimum Voltage version 3 is a fresh algorithm that determines which power level to request. Qualcomm says a new feature for Quick Charge 4 is the ability for a device to request charging to within 20mV of the specific power needed (or less) while also running a number of advanced thermal algorithms for battery, case, chip, and connector. Finally, a dual charge feature is supported by incorporating a second power management integrated circuit in the device. With Dual Charge the current is divided, which creates more efficient thermal dissipation and reduces the charging time. Intelligent thermal balancing is engineered to optimize power delivery. Why this matters: Qualcomm’s Quick Charge protocol is used in a number of flagship and mid-range phones, such as the HTC 10 and LG G5. Qualcomm’s strengths in this area and longtime partnerships with numerous smartphone makers ensure it’ll have a strong place in the market.